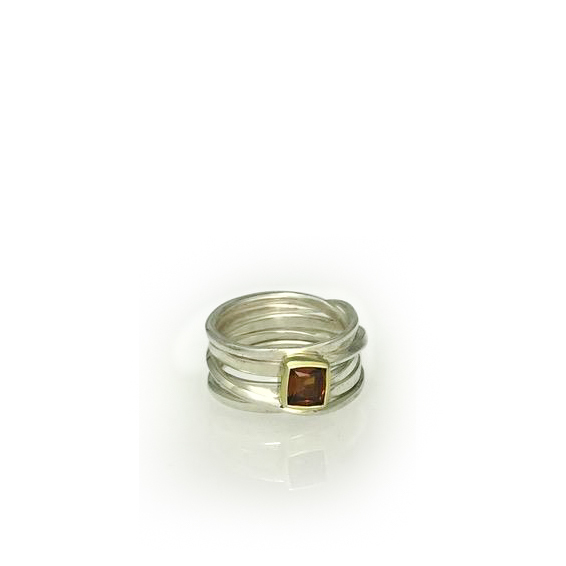 This sterling silver Onefooter ring is a size 12, and the 3mm cushion cut brown zircon is set in 18k yellow gold. I really believe that it is important not to make any assumptions about sizes. 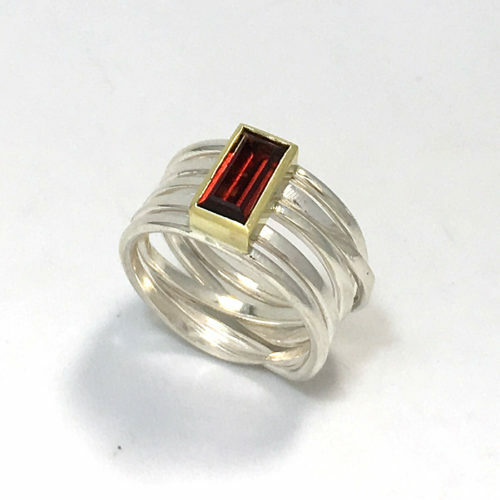 This ring is not the largest size I make, by any means. And I go as small as size 3. 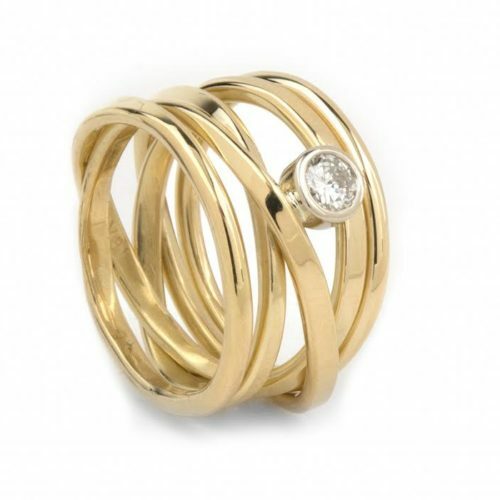 It is important not to confuse zircon with cubic zirconia (CZ), which is sometimes referred to as ‘zircon’. CZ is a man-made product that resembles natural zircon and diamond with high lustre and dispersion. 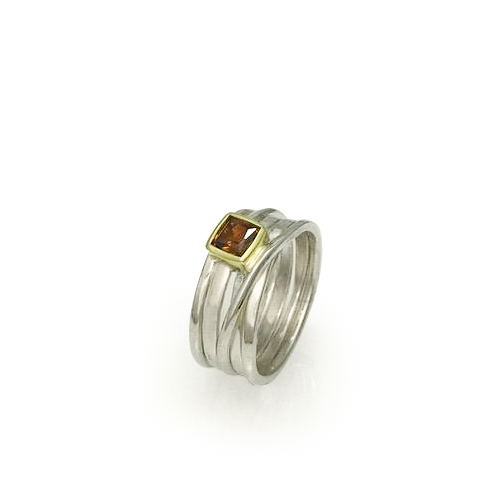 The blue or brown zircon I use is natural. It has a lot of fire. 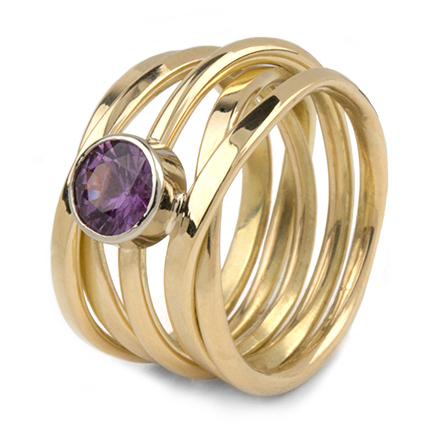 Every ring in the Onefooter series is unique, and each stone is unique. Ask me about stones, colours, price points, and we can find one that’s right.